The National Stadium was previously known as the World Games Stadium. 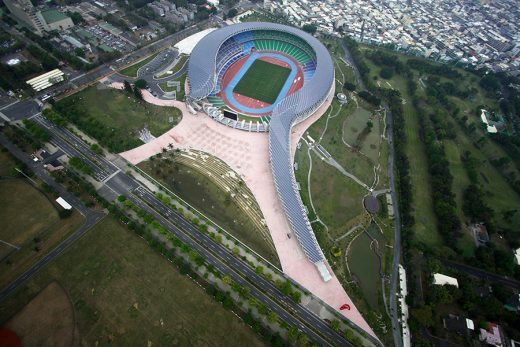 This sports building is a multi-purpose stadium in the Zuoying District of Kaohsiung and currently has the largest stadium capacity in Taiwan. The arena is used mostly for athletics and rugby events, but after the games finished the builidng has also been used for Taiwan football team matches. 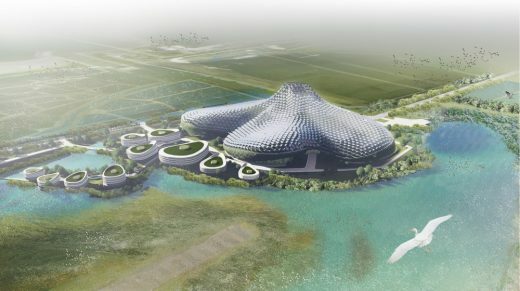 The stadium layout is semi spiral-shaped, like a dragon. The stadium, designed by celebrated Japanese architect Toyo Ito, makes use of solar energy to provide its power needs. It is the first stadium globally to provide power using solar energy technology.